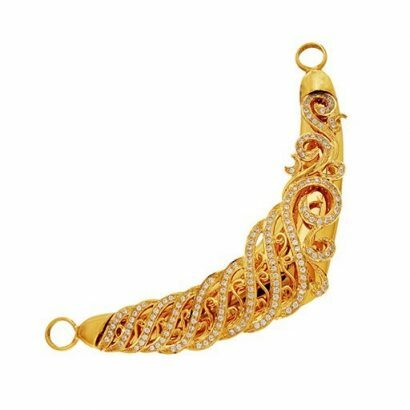 A 22 karat gold savadi from the wedding collection that is elegant and decorative. 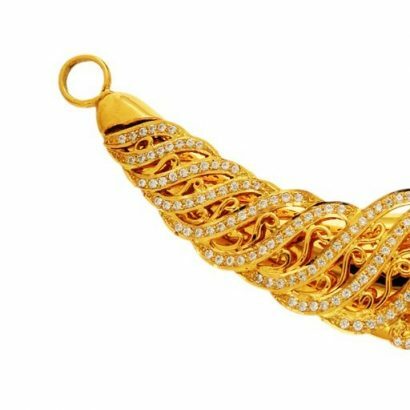 The gold is sculptured into intricate flowing swirls encrusted with white Swarovski crystals reminiscent of a seashell found in nature. 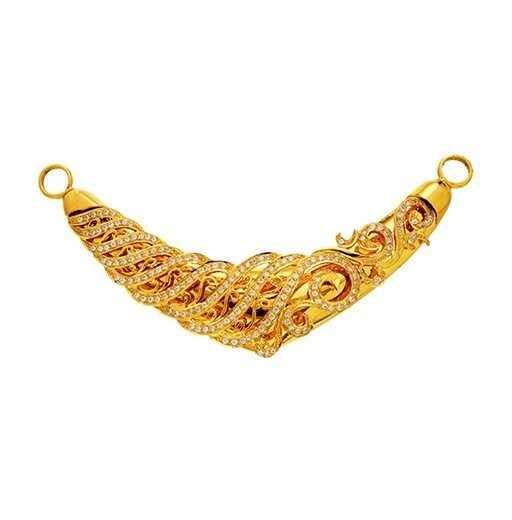 A stunning piece of jewellery, guaranteed to enhance the beauty and allure of a woman.